New 49-, 55-, 65-, and 75-inch Nano 8 sets will ship in April, alongside 55- and 65-inch Nano 9 models, LG said. Additional units will ship in May and June, including an 86-inch Nano 9, priced at $4,299. The cheapest TV, a 49-inch Nano 8, will arrive in April for $799. Most of the sets will include an Alpha 7 Gen 2 processor, said to use "deep learning" to optimize picture and sound, for instance simulating 5.1 surround sound through stereo. The chip also powers high dynamic range in the form of HDR10, HLG, or Dolby Vision. All sets will come with LG's Magic Remote, providing access to Amazon Alexa and Google Assistant voice commands. The sets themselves are based on LG's fork of webOS, originally developed by Palm. Both Alexa and AirPlay 2/HomeKit will only arrive via firmware updates coming "mid-year," LG cautioned. 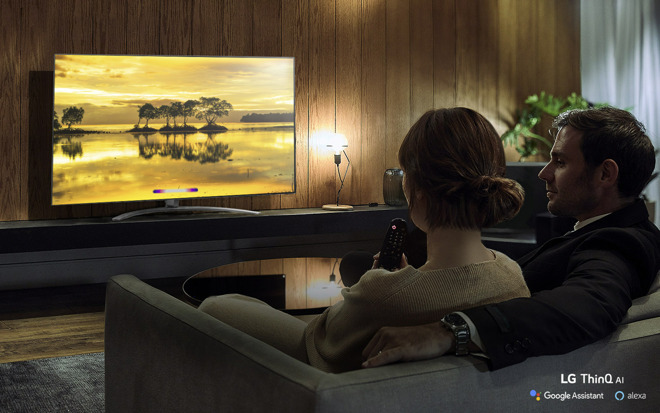 During January's Consumer Electronics Show, Samsung, LG, Vizio and Sony all pledged to provide AirPlay 2-compatible TVs. 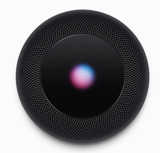 Owners will be able to stream photos, audio and video, even asking Siri to push content with commands like "Play 'Manufacturing Consent' in the Living Room." The iOS Home app is being updated for this in iOS 12.2, through which people will also be able to switch inputs or power a TV on and off. That software is still in beta.